WNYC's Your Pocketbook program is as much a Cold War artifact as much as Yertle the Turtle or The Fifth Horseman, albeit a much less frightening one. After VJ Day, Americans became obsessed with post War Prosperity, enjoying their position as leaders of the Free World, and the new device which was taking over their living rooms, the Television. With this relatively narrow focus, the onset of hostilities on the Korean Peninsula on Sunday, June 25, 1950, caught more than a few people by surprise. The Korean issue was mostly ignored by the West before that date. Korea was a source of food, livestock and metals for the Empire of Japan during WWII. When Russia declared war on Japan after defeating Germany, they invaded Manchuria and occupied the northern part of Korea while the Americans took the south. Both powers withdrew and left the region highly unstable and unable to achieve unification. President Truman feared that a war in Korea would devolve into a Third World War, especially since the North was backed by the Red Chinese and the Soviets who had recently exploded their first Atomic device. To prosecute a War, Truman knew two factors were vital: the support of a strong United Nations and a strong U.S. economy. 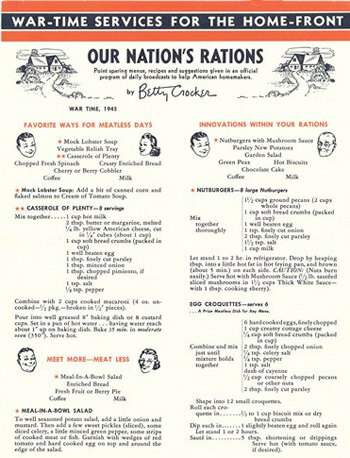 Memories of WWII rationing were still fresh in the minds of American consumers, and with the threat of war hoarding became rampant. Retail sales figures for July, 1950 showed an 8% increase; coffee prices increased 9%, tin was up 26% and rubber 27%. Truman created the Economic Stabilization Agency and the Wage Stabilization Board in September and in January, 1951, the Office ofPrice Stabilization was created with Toledo mayor Michael DiSalle as director. Within two days of its creation, the OPS announced a hugely unpopular price freeze, but was quickly forced to allow price increases on many items. The OPS finally announced a long range price control strategy in April, but that plan also lacked popular support. 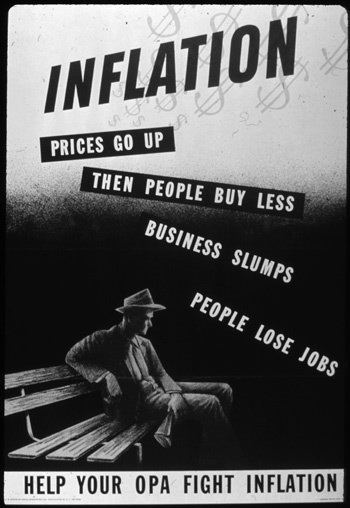 In February, 1953, President Truman issued an Executive Order which brought an end to wage and price controls. While the OPS was in operation, the role of the district offices was to monitor and investigate businesses in their area for violations of OPS directives. The regional offices also kept consumers aware of the OPS's activities and encouraged them to avoid black markets, hoarding and other activities that could lead to uncontrolled inflation. WNYC put Regional OPS Director James G. Lyons on the air in a weekly program called Your Pocketbook. The program was a scripted interview format. A friendly and informative tone was kept throughout, when the government officials on the air avoiding any temptation to be accusatory or to talk down to their audience. Topics included price control, regulating beef production and prices, the threat of inflation, price stabilization, the fight against inflation, and stabilizing markets beginning at the farm level. Be the first to comment on "Your Pocketbook"